NEXT | How do you feel about that whole Order Hall experience? Our supporters got to see this post last week, but now we’re opening it up to everyone. Enjoy! When Legion was announced at Gamescom, minds were blown. Every spec for every class would gain an immensely powerful Artifact, the ultimate weapon for our battle against the Burning Legion. 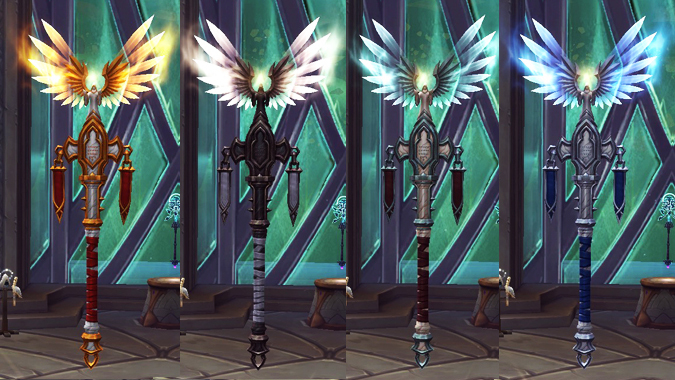 Some included the most famous weapons in the World of Warcraft universe: Ashbringer, Doomhammer, and Frostmourne (or what’s left of it). At first glance, we were all incredibly psyched. It sounded like a dream come true. But then we thought about it for a little while, and we had questions. What would happen after Legion? Would we keep the Artifacts forever? If not, what would happen to them? Blizzard told us that Artifacts would be a Legion-only feature. Some of us began to worry. What would that mean for our classes? For the game as a whole? In the lead-up to and duration of Legion, players have had what I would consider four distinct fears about what the introduction of Artifacts meant for the game. By my count, every single one of those four fears was well justified. Blizzard has not done enough to remedy these problems. 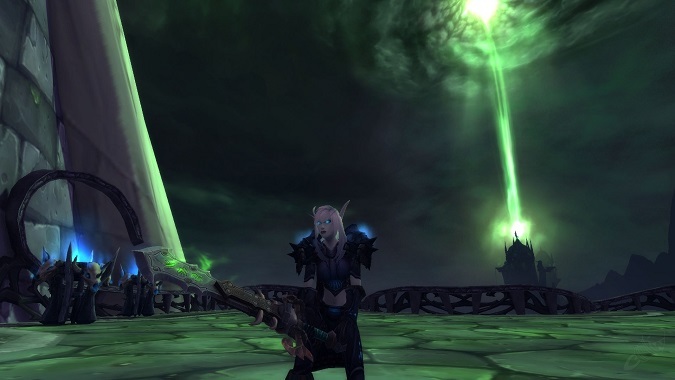 In past expansions, character progression came from two sources: leveling and gear. Legion added a third source, the Artifacts. Gear, as always, provided a large part of our throughput progression, in terms of raw DPS, survivability, or healing. We also had legendary items, which served as extra, single-item set bonuses with some interesting twists. But all of our level-100+ abilites in Legion came from the Artifacts themselves. We had no new spells or abilities outside of the Artifact, and Legion added no new talent row. The main way that our character progressed in Legion was by acquiring and leveling up our Artifacts. 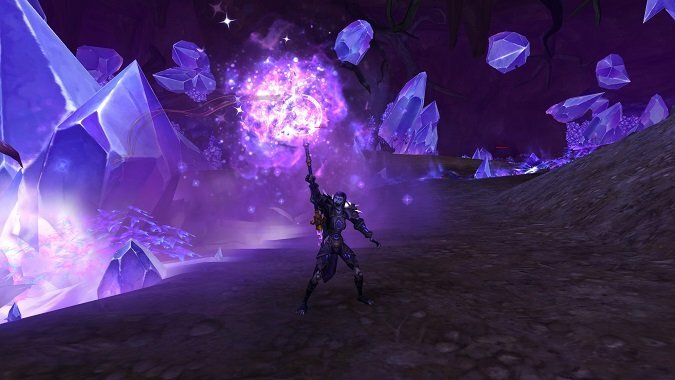 It was WoW’s response to Diablo’s “Paragon Points” — a way to allow us to continue to add power to our characters after max level that was separate from gear upgrades. As a result, we were no longer really a Retribution Paladin. We were the Wielder of Ashbringer. When 8.0 goes live, we’re back to being just a Ret Pally, and nothing Ashbringer provided to the spec will be available baseline. In terms of our spellbooks, it will be as if Legion never happened. All we are left with are some pretty weapon skins. (Extremely pretty, mind you — major kudos to the art team!) But a player could skip Legion entirely and their class would play no different. That feels wrong. We were all intensely curious about how Blizzard would handle Artifacts in the transition to the next expansion. Now we know 100% how that will happen (spoilers, ahoy). Blizzard promised us a resolution to the Artifacts’ stories that would be appropriately epic. In my view, they have not delivered on that. What happens in Silithus feels like a force-fed plot point made necessary by Blizzard’s class design decisions, not a moment in service to the story of Azeroth. So many of the Artifacts had incredible stories and lore behind them, and all of that is reduced to … this. It’s incredibly disappointing, and exactly what players worried about. 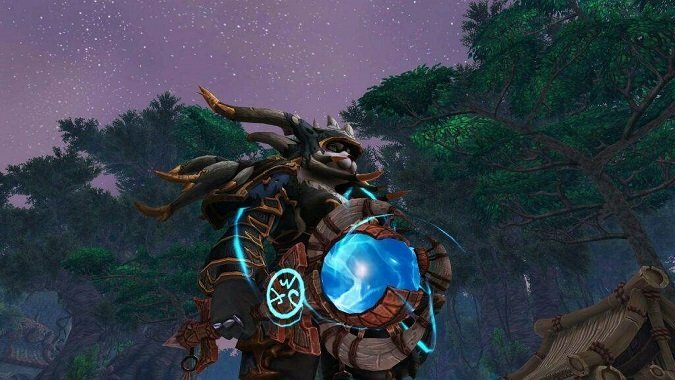 Azerite Armor is likely to suffer a similar fate, but without all of the messy lore implications of Artifacts. The fact that so many of the Artifacts were iconic parts of Azeroth’s history makes it far more painful that their stories are now over, and with very little payoff. I see people posting on the forums that, for the first time ever, they’re not excited about the expansion pre-patch. We’re losing our Artifacts — or at least, everything that made them powerful instead of just pretty. Long ago, before Legion even launched, we worried that this would feel bad. And yes, it feels really, really bad. It’s because, for the first time, we’re losing so much of the power and utility of our characters, with no trade-off, no compensation. Blizzard has done worse than nothing to mitigate this issue. Many players have questioned why Battle for Azeroth didn’t at least offer an additional talent tier, with the “gold” abilities of the artifacts as choices. At least this way we could have felt like our characters “absorbed” the Artifact and could make use of our former weapons’ powers. By replacing existing talents with Artifact powers instead, we’re losing even more than just the Artifacts themselves. As a caveat, I realize that you wouldn’t want to choose among the gold abilities directly, because you’d end up with annoying choices between single target and AOE damage, etc. So it’s not a perfect solution. But it’s still preferable. Another option would be allowing all the specs to keep their activated ability baseline, so we could feel like we unlocked something — anything — permanent for our class during Legion. But really, I’m not sure what the right solution to Artifacts is. They could have been an ongoing, horizontal progression system. When I first saw the UI design, I thought they would be more like the old talent trees with choices to be made. Blizzard could have added new branches to them with each expansion, giving us more and more choices instead of more and more power. 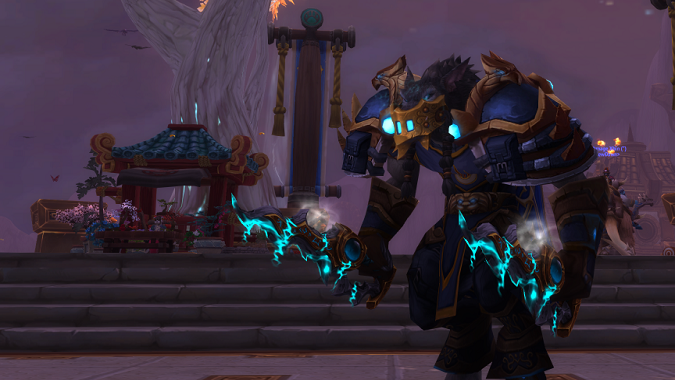 Some players are happy to ditch the Artifacts, but I think that has more to do with feeling forced into certain weapon types and transmog limitations than it does with wanting to lose all of those abilities and bonuses. Playing on the beta or PTR, you feel the loss of all of those abilities and bonuses acutely. When 8.0 hits, our specs are going to feel stripped down to the bare bones — just as we feared would happen. What weapon upgrade will ever feel as amazing as that fully unlocked Artifact? Going back to traditional weapons is, to me, a huge letdown. I once held Doomhammer in my hands. Now I have this lump of steel on a stick. Even future legendary weapons, if WoW ever returns to that concept, will feel disappointing in comparison. Did Blizzard somehow believe that Azerite Armor would be an adequate replacement feature? Maybe Blizzard has something awesome for us in store farther down the road, but Azerite Armor isn’t it. I haven’t heard anyone say that Azerite Armor is better or even equal to the flavor and impact of Artifacts. We had fears about Azerite Armor, too, back when when Blizzard first announced it as a feature in Battle. Unless something major happens in the patches, those fears seem to be coming true as well. 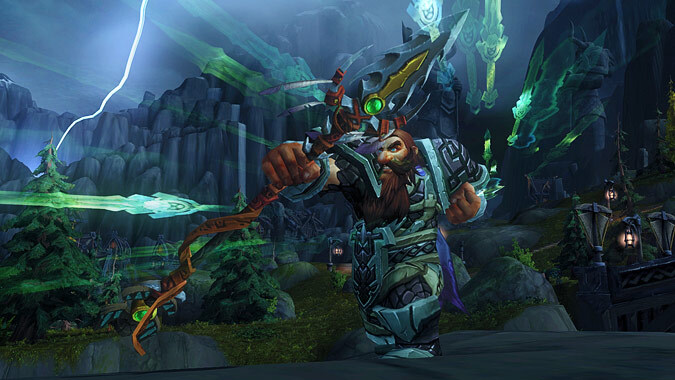 Artifacts were amazing — perhaps the coolest thing Blizzard has ever done with classes. I loved Artifacts. During Legion, I became something I had never been before in WoW: an altoholic. I wanted to try out every Artifact and unlock as many sweet appearances as I could. Looking back, however, the ultimate execution of Artifacts, and their very lame fate in the story, has soured the experience for me. Battle for Azeroth is the first expansion in fourteen years of WoW that I’m not looking forward to. I’m not one of those long-time players that feels like Blizzard should cater only to us. I want the game to thrive, and it needs new players for that. So I worry how those players who joined WoW during Legion will feel when the Artifacts they worked so hard to unlock and upgrade are stripped away in a few weeks. All of our fears about Artifacts have come true, just as players predicted. Blizzard could have listened to those concerns during Legion development and tried to find ways to address them. Instead, Blizzard led us straight toward those outcomes.